MADISON – In recent days, Assembly Republicans have been touting the 2018 year end fund balance of $588.5 million as a way to fund a middle class income tax cut very similar to the one proposed by Governor Tony Evers. Not mentioned in the discussion of the $588.5 million is the massive borrowing and fund raids used to generate $362.3 million of that balance over the past eight years. 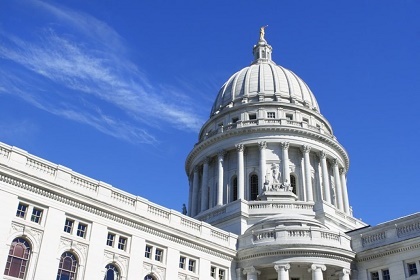 According to a January 11, 2019 Legislative Fiscal Bureau (LFB) memo, between 2011 and 2016, former Governor Scott Walker and Legislative Republicans deferred payment of principal due by $767.3 million to avoid making debt payments. This delay will have cost taxpayers an estimated $88.7 million when it is paid off in the future. In other words, $314.3 million of the $588.5 million “surplus” consists of money that was borrowed. And taxpayers are still on the hook for the remaining $367.7 million plus $35.3 million in interest over the next dozen years. “More than 60% of this touted $588.5 million “surplus” my Republican colleagues are talking about is a result of borrowing and raiding money from veterans nursing homes. The reality is that Republicans have spent the second longest economic expansion in U.S. history cutting funding from K12 education and the UW System to pay for tax cuts for the wealthiest in our state. In addition, a January 17, 2019 LFB memo shows that Governor Scott Walker and Legislative Republicans took $48 million from the state’s veterans nursing homes to pay for services instead of using general purpose fund revenue. $362.3 million of the $588.5 million Republican “surplus” is the result of deferred payments and fund raids.